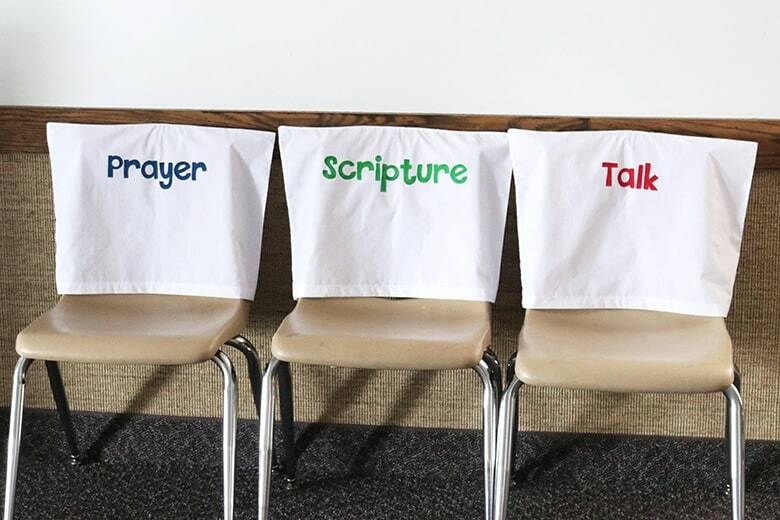 Freezer paper stencils allow you to easily paint designs on fabric. They’re a great (and inexpensive) alternative to vinyl. I have discovered a love of freezer paper. Who knew that it creates the best stencils for paint? I’d heard about this technique years ago, but I can’t believe I’d never actually done it. I guess I never had a need until now. 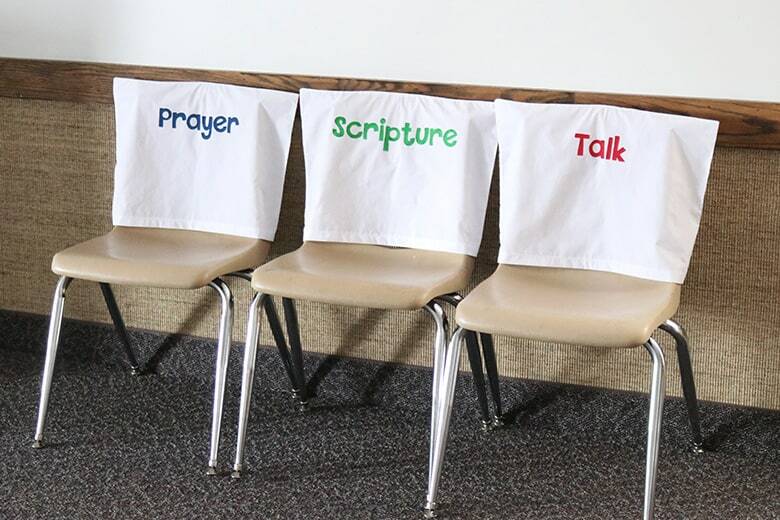 I had to make some primary chair covers for my ward*, and needed an easy way to put the class names on them. I didn’t have plastic letter stencils that were the right size, so I made my own from freezer paper! It worked like a charm! 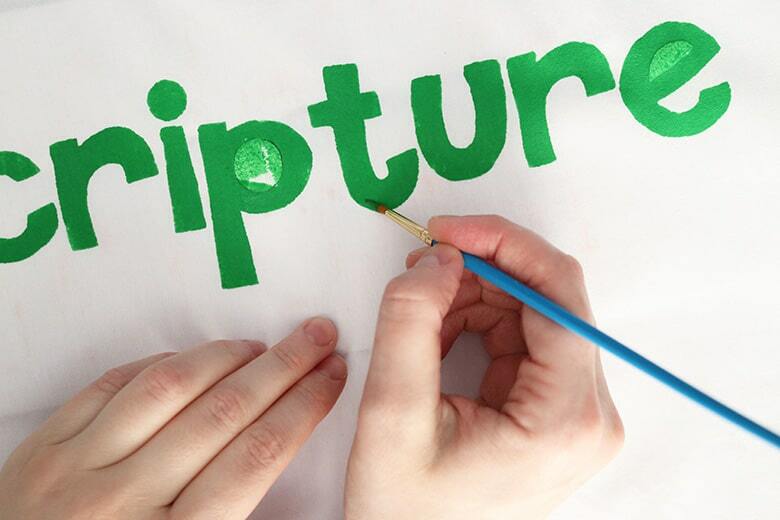 *You can learn more about The Church of Jesus Christ of Latter-day Saints here. 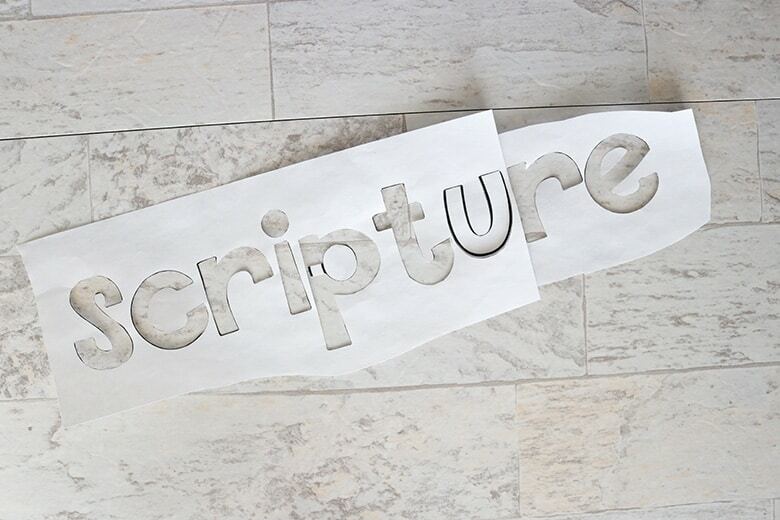 This technique can be used for a variety of designs and applications. 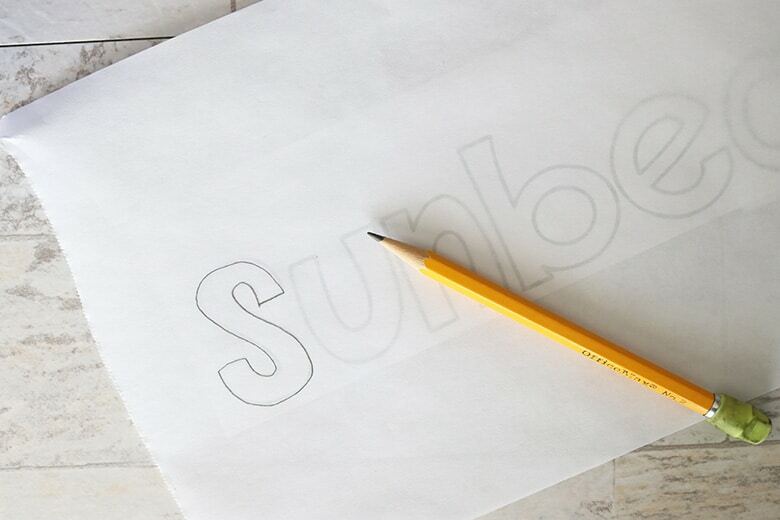 As long as it’s a design you can trace and cut, you can do it! 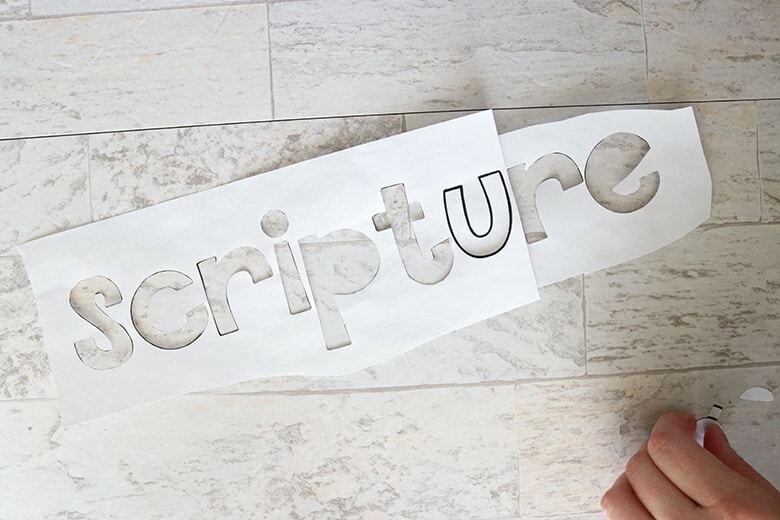 First, print your design from your printer. 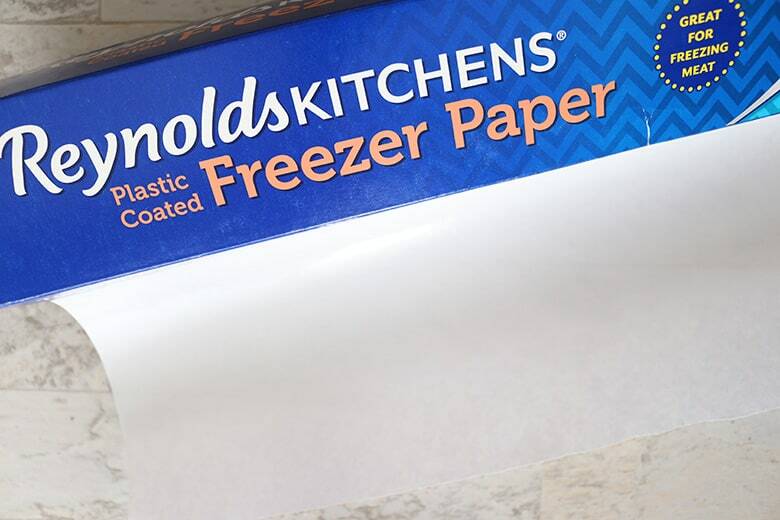 Then trace it onto the freezer paper–be sure to trace the design onto the “paper” side of the freezer paper. 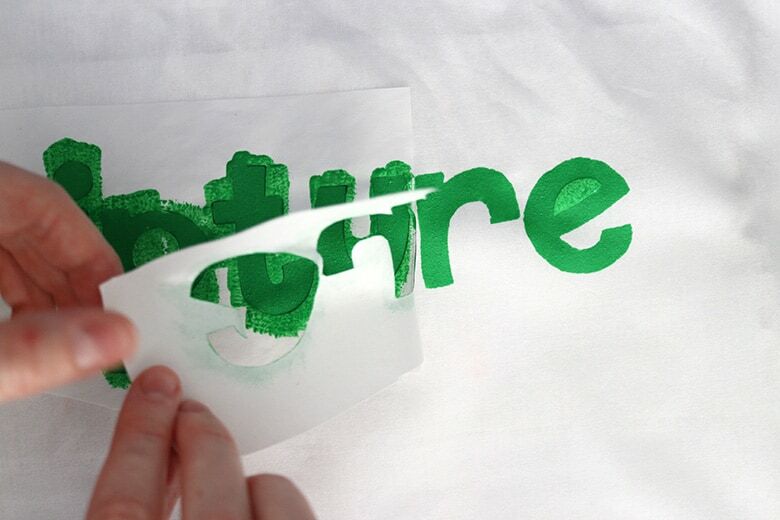 Freezer paper is semi-transparent, so you should be able to easily trace your design. 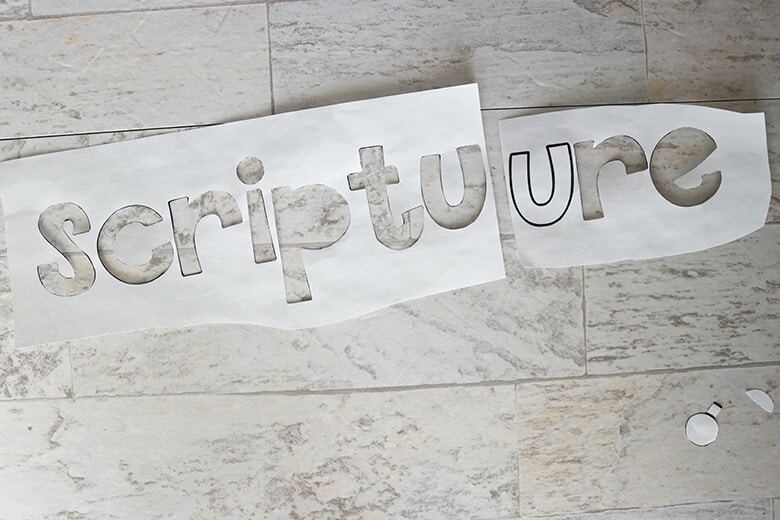 But, if you’re having difficulty, hold both the design and the freezer paper (or tape them) up to a window. Alternatively, you could print directly onto the “paper” side of the freezer paper with your printer and skip the tracing step. I did this for some of my chair covers later on and it saved a lot of time. This is where those sharp scissors come in handy! To keep the “stencil” intact, you’ll have to poke through the design (in this case, my letters) and carefully cut them out without ruining the edges. 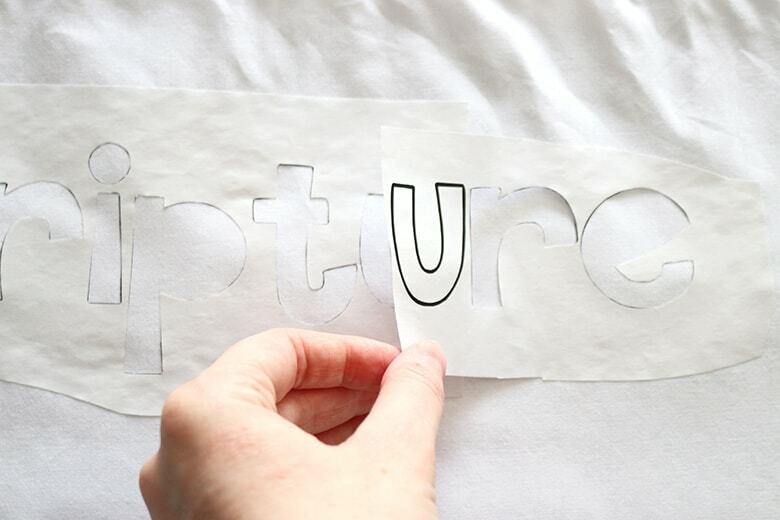 You can’t simply make a big cut from the edge like you normally would when cutting something out! Also, you can see that I preserved the “holes” above (from the ‘p’ and ‘e’). Before you paint your design, you’re going to want to make sure any “holes” of the stencil are also included, otherwise you’re going to get a big blob of paint where there should have been white space. The hole of the ‘p’ has a little flag, because that told me which direction the hole went. I’ll trim that before ironing and painting. Now this is the fun part about freezer paper: it can be ironed onto fabric and the heat will temporarily adhere the freezer paper to the fabric! 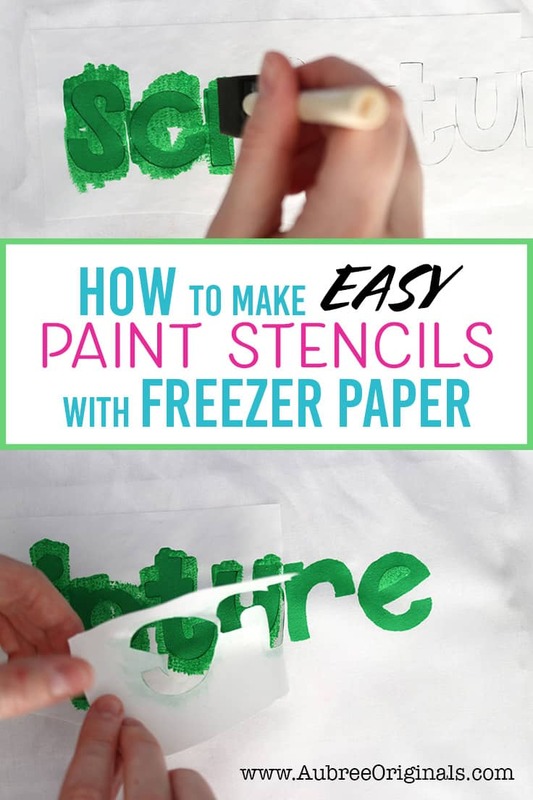 This is why this is so much better than a regular plastic stencil you might have used before–you’ll get much cleaner edges and will have less chance of bleed with freezer paper. It will stick as long as you want it to, but can be easily removed when you’re finished (or if you need to readjust it as you’re working). First, measure out where you want your stencil to go. I find a seam gauge useful to make sure my design is centered and straight, but you can use any measuring tool (or just eyeball it!). 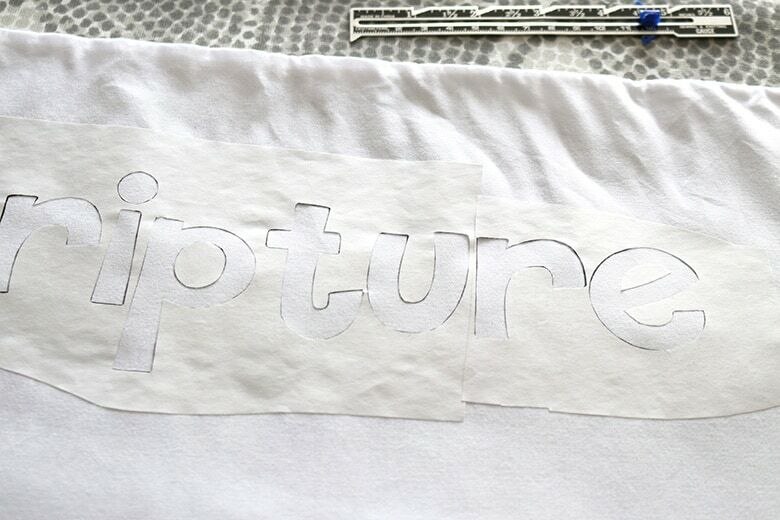 When your stencil is where you want it, carefully press it to the fabric with your iron. Steam can make the freezer paper warp, affecting how well it adheres, so turn your iron to a no-steam setting. If your stencil is in two pieces like mine, iron one half first. Then, line up the second half, cut off any extra that you need to, and iron the second half down. I lined up the second half, cut off the extra ‘u’, and then ironed the second half down. 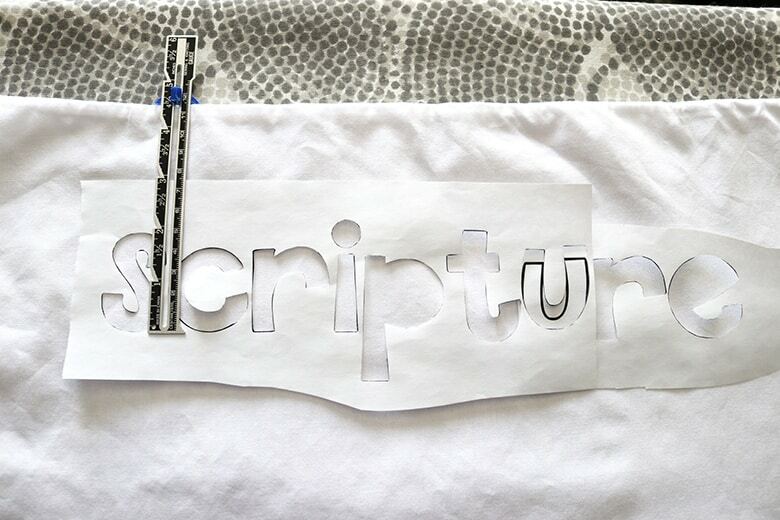 Examine your ironed stencil to make sure that it has adhered fully to the fabric. Re-press any edges that are sticking up. Now, grab your scrap piece of cardboard to put behind your fabric. For me, I put the cardboard in between the two layers of my chair cover. You’d want to do the same for t-shirts so the paint doesn’t bleed to the other side. 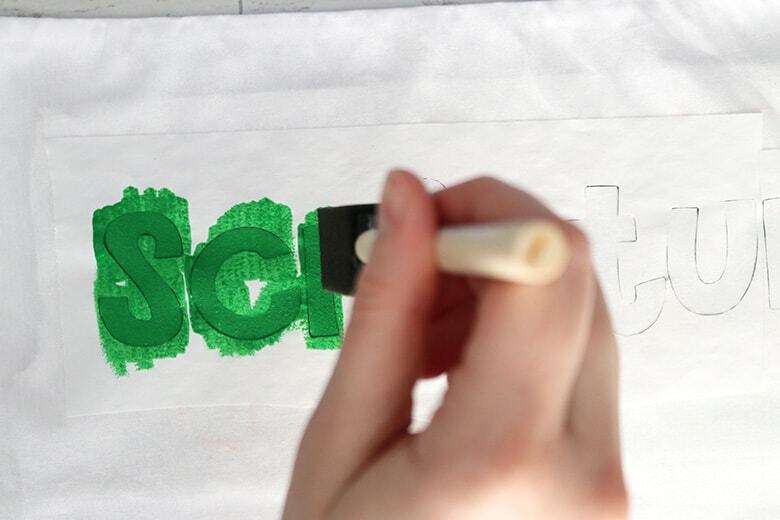 Using a foam brush, lightly dab paint onto your design, being careful not to “push” paint under the stencil edges. I find it easiest to use a small amount of paint on my brush first and add more as I need it. Once you’re done painting, you can let the paint dry completely before removing the freezer paper. Or, if you’re a rebel like me, you’ll want to remove it right away. I do this because I want to check for any edges that need touchup while the paint is still wet. If you remove the freezer paper when the paint is wet, just be careful not to smudge the paint. You can remove the stencil “holes” now or later, it’s up to you. Once your paint is completely dry, heat-set it according to your fabric paint instructions. And there you go! A perfectly stenciled design! Pretty simple, huh? The possibilities are endless with this technique! I’m thinking I need a new stenciled tote bag…or maybe a new Mickey shirt to go along with my Disney crafts. So many fun crafts you could make with this! Let me know what you’re making in the comments!